Your Web Marketing. All In One Place. Your site will look great on desktops, tablets and mobile devices. Patients can schedule an appointment right from your website. 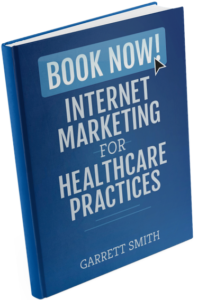 Track inbound patient phone calls generated from your website marketing. 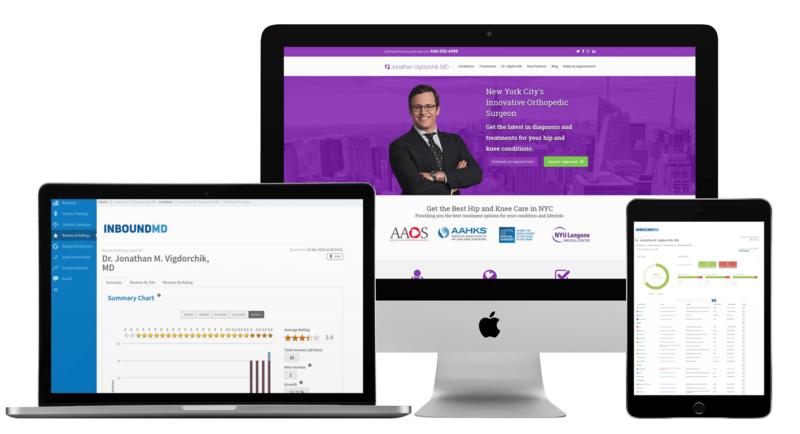 Rank highly for desired patient searches on Google, Bing and Yahoo. Manage and monitor professional listings on 350+ websites. Increase ratings and monitor doctor profiles on 20+ popular websites. Send your patients review solicitations via text message and email. Publish consistently on social media without you having to lift a finger. Build your digital health library to educate and inform your patients. Your online reporting dashboard helps you easily determine your ROI. Your dedicated marketer implements and supports your campaigns. Stay informed and up-to-date on your marketing performance and progress.